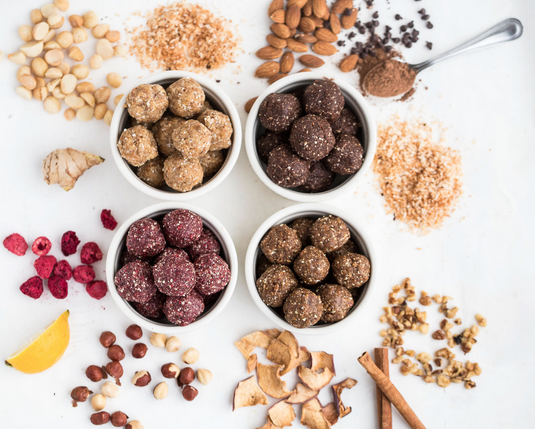 Recipes that will have your taste buds begging for more and your body properly nourished for optimum health, vitality and energy. One of the great moments in life is realizing that two weeks ago your body couldn’t do what it just did. “Wow, I really regret that workout,” said no one ever. If you wait for the perfect conditions, you’ll never get anything done. Remember, Someone busier than you is running right now. Keep in mind, you may not be there yet, but you’re closer than you were yesterday. The ‘I’ll Drink To That’ Diet. 2nd meal of the day Tomato, Feta & Zucchini pie. In the past few years, cauliflower pizza crust has gained huge popularity as a low carbohydrate alternative to traditional flour pizza crust. You are looking at the best cauliflower pizza crust recipe on the web. It’s not soggy you can hold the slice in your hand, in fact it can be re-heated (toasted) and a topping added just like a slice of toast. Why Is Cauliflower Pizza Crust Healthier? 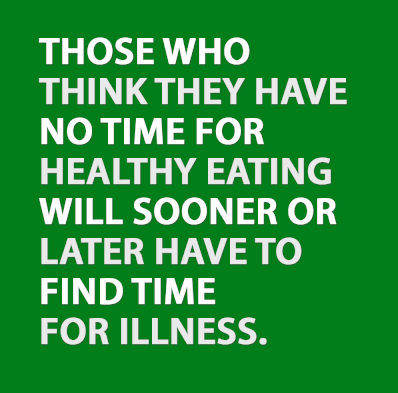 The short answer to this question is – more veggies in your diet means a healthier YOU. The fact is that cauliflower pizza crust has fewer carbs than regular pizza crust. This recipe makes a gluten-free cauliflower pizza crust, which means people with gluten intolerance or Coeliac disease can enjoy it too. 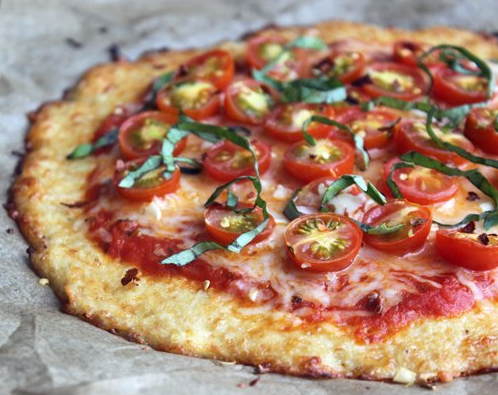 You can to make cauliflower pizza crust without cheese (omit the cheese and add an extra egg). 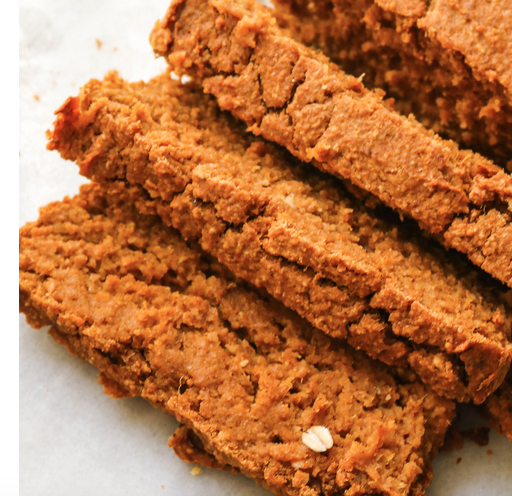 Or make Vegan simply by making a flax egg by combining 1 tablespoon ground flax seed meal with 3 tablespoons of water. Just mix together, and then let sit for 5-10 minutes to thicken. Then, to replace the cheese, you can use chickpea or other flour. You’ll need to turn the raw or steamed cauliflower into cauliflower rice using either a food processor or a kitchen grater. Both work fine, but I do prefer the food processor because it’s quicker and easier than using a grater and I prefer to use the cauliflower raw as opposed to cooking first. Tip: If cooking the Cauliflower you will need to squeeze out the liquid from the cauliflower before forming the crust. You absolutely don’t want to skip this step. With the cauliflower, you want to make sure you remove as much liquid from the cooked cauliflower as possible so the resulting crust isn’t soggy. Preheat the oven to 400 degrees Fahrenheit or 200 Celsius. Heat the cauliflower rice in a dry fry-pan / skillet over medium high heat, stirring often to remove as much moisture as possible, about 10 minutes. Once it looks somewhat dry, add Parmesan cheese and seasonings. Use parchment on a pizza pan and spray with rice bran oil cooking spray. Spread out the “dough” and flatten as best you can. Use another piece of parchment paper on top if it’s too sticky for your hands to spread. Bake for 20 minutes. Add your favorite toppings and bake another 10 minutes. Then cut and serve! 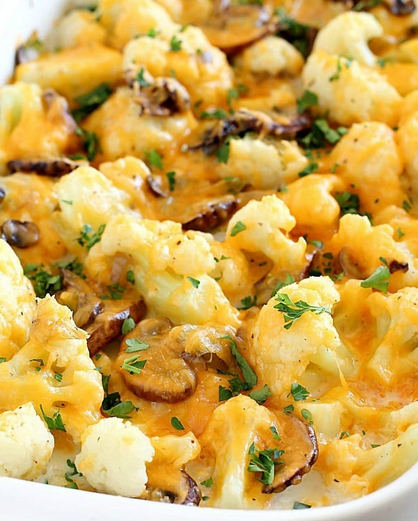 A few Low-Carb Cauliflower Recipes to keep you slim. 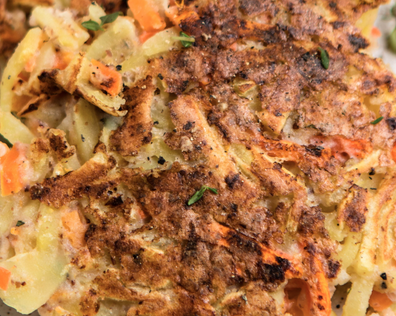 1: Easy Low Carb Cauliflower Fritters. 2: Rosemary Cauliflower Mash and Gravy. 6: Crispy Skin Salmon with Pesto Cauliflower Rice. 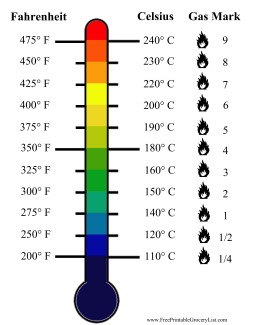 Preheat oven to 350º Fahrenheit / 180 Celcius. Spray 9 inch square baking dish with rice bran oil. Lightly Steam cauliflower for 10 minutes or until crisp-tender. Do not overcook. Remove from heat and set aside. Heat a large fry-pan over medium heat. Add butter. When butter stops bubbling, add onion and cook, stirring occasionally until edges are just starting to brown. Add onion and cook, stirring constantly for one minute. Pour the balsamic vinegar into the onion mixture. Simmer over medium heat, scraping up any browned bits, until mixture has a syrupy consistency. Stir in cream, cream cheese and tomato paste. Stir until mixture is smooth. Stir in one cup of mozzarella cheese (reserving the other two cups). Simmer, stirring frequently, until mixture has a thick, creamy consistency. Add oregano, basil, red pepper flakes, salt and pepper. Taste and adjust seasoning if desired. Remove from heat. In the prepared pan, spread half of the steamed cauliflower. Arrange half of the mushroom and other in this category over the cauliflower. Sprinkle one cup of mozzarella (reserving the third cup). Layer the rest of the cauliflower and mushroom slices (but not the mozzarella) in a similar manner. Pour the cream sauce evenly over the layers. Sprinkle with the remaining cup of mozzarella. Bake in preheated oven for about 20 to 30 minutes or until casserole is bubbly and cheese is lightly browned. Cool 5 to 10 minutes before serving. First, preheat your oven to 350F / 180C In a small bowl, combine 2 tbsp of Flax Meal with 6 tbsp of Water to form an “egg.” Set Aside. Second, combine all dry ingredients in a medium bowl and stir well. In a large bowl, combine the Sweet Potato Mash, Almond Butter, Plant Milk, Flax Egg, Coconut Sugar, Vanilla Extract, and Apple Cider Vinegar. Mix until everything is well incorporated, then add in the dry ingredients. Gently stir until well combined. Pour the batter into a greased or lined loaf pan, then bake for 60-70 minutes, or until a toothpick comes out cleanly. Let sit in the loaf for 10 minutes, then let cool completely on a baking rack before slicing. Store any leftovers at room temperature in a sealed container for up to 7 days. Sweet potato is blended with eggs, sugar, cinnamon, nutmeg, cloves, ginger, and hot nut or rice milk and then baked until set. Made in individual cups, this spiced custard is just perfect for a family dessert. 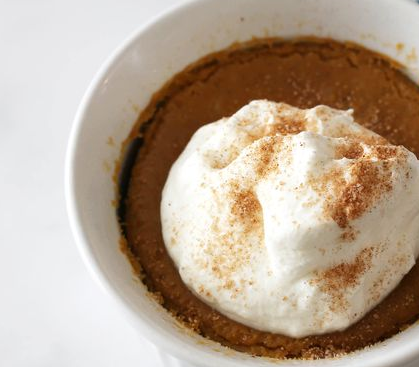 Garnish each dessert with whipped coconut cream and a drizzle of date caramel sauce or spiced coconut sugar. Heat oven to 350 F / 180 C. Butter six custard cups; set cups in a large baking or roasting pan. Heat the milk until very hot; set aside and keep warm. In a mixing bowl, lightly beat the eggs. Add the sweet potato, sugar, salt, cinnamon, mixed spice, nutmeg, cloves, and ginger. Whisk in milk and beat until well blended. Pour into the prepared custard cups. Heat 5 to 6 cups of water until steaming and nearly simmering. Place the roasting pan with custard cups in the hot oven and fill the pan with the very hot water until the water is about halfway up the side of the custard cups. Be careful not to pour water into the custard. Bake for 25 to 30 minutes, until the edges are firm. The center of the custards will still jiggle a bit. Allow a little more time if you’re using larger custard cups, and check early if using very small or shallow cups. Remove cups from the water bath immediately and place on a wire rack to cool. Once cooled, cover the custards with plastic wrap and refrigerate for at least 1 hour. The custards may be stored, covered, in the refrigerator for up to 3 days. 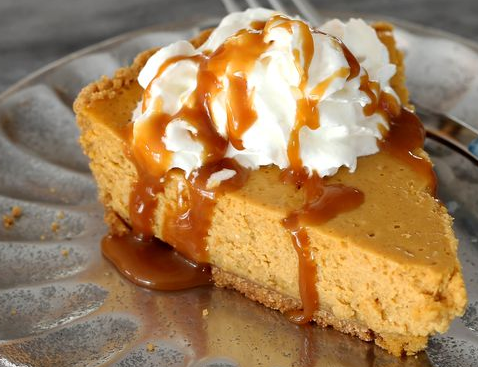 And here is another version of a sweet potato recipe to get your taste buds drooling. Preheat the oven to 350F /180 C.
While it’s running, add the pitted dates or stream in the maple syrup to form a sticky clumpy texture. Press into the bottom of a 6″ spring-form pan lined that has been lightly sprayed with oil. Set aside. Remove from the oven and allow cooling before chilling overnight. Release the cake from the pan, top with whipped coconut cream and date sauce. 1/2 cup instant porridge oats or Almond meal. Place all nuts in a food processor and whiz until finely chopped. Add oats / almond meal, apricots, dates, prunes, sesame seeds, cocoa, cinnamon and honey to the processor and whiz for 2-3 minutes until the mixture forms a paste. Divide the mixture into portions about the size of a golf-ball, then roll between lightly moistened hands to make about 15 balls. 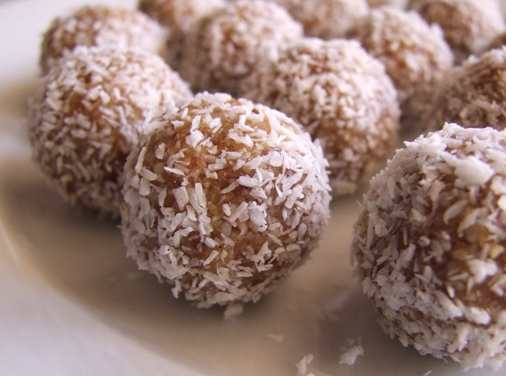 Roll the balls in the coconut to coat, then serve. The balls with keep in an airtight container for up to 2 weeks.